The power of video is nearly limitless. From capturing a moment to telling a story, nothing engages your audience more than video. And while video for small businesses used to be only for television commercials, the connected marketplace has brought new avenues of use. The Signal Company can custom design a video solution that matches your business needs. 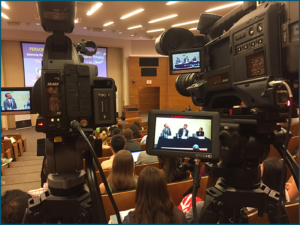 From one camera, one mic setups, to multi-camera, high key, productions, to animation and motion graphics, The Signal Company can find a video solution to match most any need and budget. Need a live event captured or streamed live to the web? Traditional marketing for the web or TV? 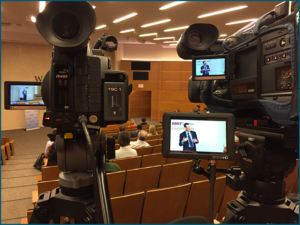 Corporate interview or training videos? Content marketing or even narrative projects? 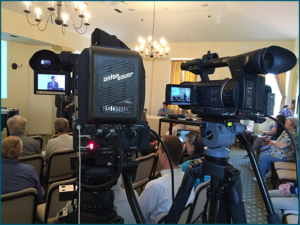 The Signal Company’s experience and equipment allows us to provide video solutions to all of these and more.You can see examples of our work in the Portfolio and dig deeper into some of our projects. Better yet, Contact us now to learn how The Signal Company can help you find the perfect video solution for your small business.